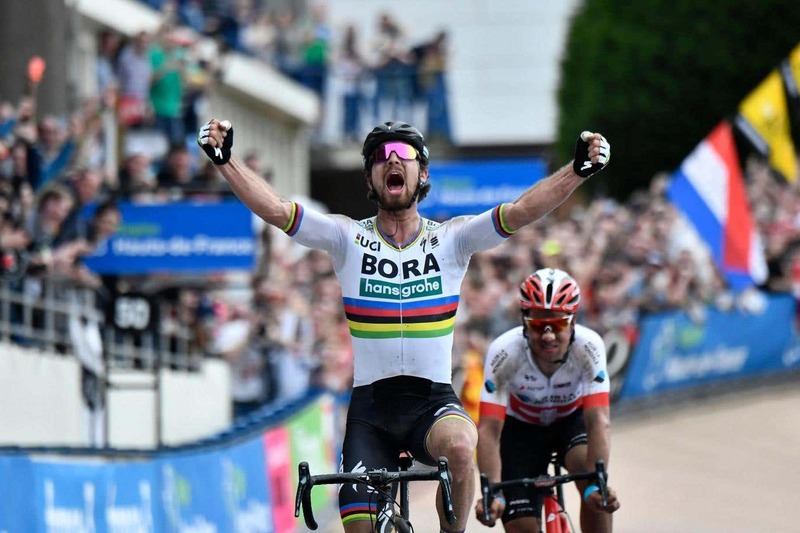 World champion Peter Sagan timed his effort perfectly to become the first rider since 1981 to claim the Paris-Roubaix classic with the rainbow jersey on his shoulders as he tamed his rivals in awe-inspiring fashion on Sunday, but his victory was overshadowed by concern for Belgian rider Michael Goolaerts, who was in a “life-threatening condition after suffering a cardiac arrest”, race organisers said in a statement. TV footage showed Goolaerts, 23, receiving CPR treatment from medics by the side of the road after crashing. Shortly after the 257-km race ended, race director Christian Prudhomme said Goolaerts had to undergo a scan at the Lille hospital. “His situation is still very worrying,” Prudhomme, who is also the Tour de France director, added. His team, Verandaâs Willems-Crelan, said in a statement that Goolaerts had been taken to hospital having been involved in a crash. They later appealed for people to refrain from speculation as they wait for an update on his situation. “Our thoughts are with his family and friends now,” the team said. Sagan eventually won the race after accelerating 55km from the finish line at the Roubaix Velodrome to catch the day’s breakaway riders and get rid of the strongest of them, Swiss Silvan Dillier, in a sprint finish. Tour of Flanders champion Niki Terpstra, of the Netherlands, came home third in the 257km race, 54.5km of them being the famed cobbled sectors in northern France. Terpstra and his Quick Step-Floors team, who had been dominant on the Flanders classics so far, simply could not contain the Bora-Hansgrohe leader Sagan. Once the man who won the last three editions of the road cycling world championships jumped away from the group of main favourites with 55km left, he never looked back. Sagan demonstrated great sang-froid in a nail-biting finish at the end of the ‘Hell of the North’ to add to his 2016 Tour of Flanders title. 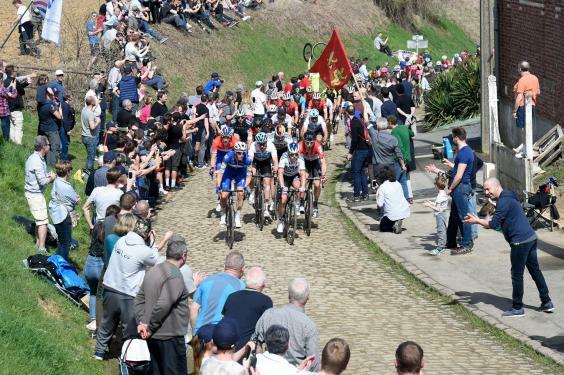 Paris-Roubaix, also dubbed the ‘Queen of the Classics’, is one of the five Monument classics with Milan-San Remo, the Tour of Flanders, Liege-Bastogne-Liege and the Tour of Lombardy. “I came first into the Velodrome but then Peter was just too strong,” said Dillier after more than 200km in the day’s breakaway. Several top contenders suffered early woes as Italian Gianni Moscon crashed before making it back to the peloton, with French champion Arnaud Demare and Belgian champion Oliver Naesen being delayed by mechanical problems as the bunch hit the first cobbled sectors. In the Trouee d’Arenberg, one of the toughest cobbled sectors 95 km from the finish, Belgian Philippe Gilbert attacked and opened a 20-second lead. He was reeeled in, but his Quick Step-Floors team mate Zdenek Stybar jumped away from the main pack 75 km from the line as the Belgian outfit sought to blow up the race. The Czech champion, however, waited for the peloton as he failed to build a decent advantage. With 55km left, Belgium’s defending champion Greg van Avermaet and Sagan attacked one after the other and the Slovakian quickly caught the three breakaway riders. Only Dillier could keep the Bora-Hansgrohe rider’s wheel until the final one and a half laps at the Velodrome, where he was outsprinted by Sagan. Terpstra dropped his rivals in the final kilometres to finish alone in third place.